Gaga gor this BDDW piece and these chairs! 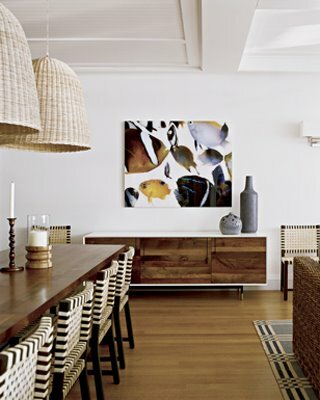 Love the mix of the Risom chairs with the rattan pendants over the rich walnut table. Let’s hang here for the weekend? OK! Send me the address?! Gorgeous.